We were trying to empty a room for refurbishment. So we rummaged through some old papers which included amongst many others: an inaugural lecture transcript from 1991 (Robert Dingwall, former Director of our Institute for Science and Society), Karl Popper’s last paper entitled “Towards an evolutionary theory of knowledge” (with the enigmatic scribble: ‘Popper’s last paper is better than ‘Krapps last tape’), and a typescript from 1989 of a speech by Margaret Thatcher, then Prime Minister, which was distributed before delivery and entitled: ‘Text of a 50th Anniversary Lecture Given By The Prime Minister The Rt Hon Margaret Thatcher FRS MP To The Parliamentary And Scientific Committee At The Royal Gallery House Of Lords On Wednesday 6 December 1989”. This lecture is really interesting in the context of some topics I have discussed on this blog, such as the importance of basic science and the science and politics of climate change. A month before the lecture that I am going to summarise in this post, Thatcher gave a much better known speech on climate change to the United Nations which contributed to putting climate change on the political map. By contrast, the lecture seems to have only attracted little attention. The Guardian and The Independent published brief articles on the climate change part of the speech on 7 December and 10 days later New Scientist focused a bit more on the part that dealt with basic science. In the following I’ll reproduce first some extracts of what Thatcher said about basic science, then of what she said about climate change. 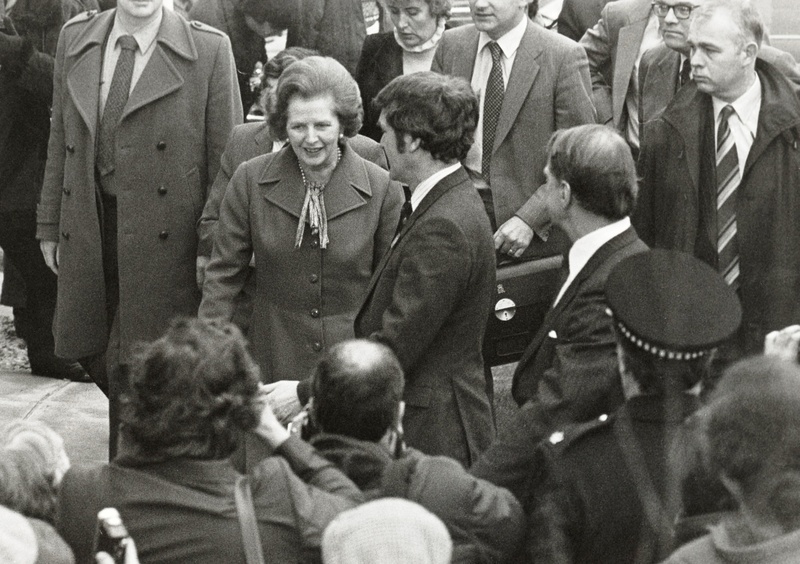 A couple of years ago Alice Bell wrote an insightful article on Thatcher and climate change which is worth quoting: “Margaret Thatcher is often celebrated for her leadership on the issue of climate change. Read, if you haven’t already, her 1989 speech to the UN for example. Or the 1988 one to the Royal Society. Or to the 2nd World Climate Conference in 1990. You might be surprised. […] Looking back at the 1989 speech in 2005, George Monbiot wrote that it’s striking how well informed she was in those late 80s speeches, and we probably have her adviser Sir Crispin Tickell to credit for this.” Alice warns us however of the dangers of greenwashing Thatcher’s legacy. And of course we should not whitewash her university policies either, as she introduced the Research Assessment Exercise in 1986. In fact, I experienced my first RAE in 1989, when it was called ‘research selectivity exercise’ – and I have had to live with subsequent incarnations ever since….With this in mind, here we go. Transistors were not discovered by the entertainments industry seeking new ways of marketing pop music but by people working on wave mechanics and solid-state physics. She goes on to talk about nuclear energy, induction coils for cars, “electric-magnetic” waves for televisions, DNA, Stephen Hawking, CERN… and says “if the Higgs Boson appears, we will have uncovered the nature of mass itself”. She certainly knew her bosons from her bosuns. As Michael Kenward pointed out in his article for New Scientist: “This emphasis on basic research contrasts with the government’s policy of a few years ago when universities were urged to conduct research that might deliver short-term benefits.” How times have changed! I wonder what she would have said about the impact agenda! After briefly pointing out some ethical questions provoked by advances in biology, Thatcher comes to ‘the environment’ in the final part of her lecture. She points out that “[a]dvances in science and engineering have created societies heavily dependent on fossil fuels for transport and power. […] So carbon which was fixed as coal, oil and gas over millions of years is being released back into the atmosphere over a matter of decades. We are changing our planet’s environment in new and dangerous ways. We all speak glibly of ‘sustainable development’. It is a comforting expression. But as of today it is still a statement of hope rather than a reality.” This is still true today, a quarter of a century later. I leave it to you readers to draw your own conclusions from this! It is a shame that her remarks about fundamental research have been ignored by those within the research councils who have promoted the “impact” concept. The significant thing in MT’s speech to the Royal society is her emphasis on the government’s commitment to sustainable development. Gro Harlem Brundtland, much more than Thatcher herself, explains the greening of the iron lady. After all, the green thing had been growing on the international stage since the late sixties, and Out Common Future had been published in 1987. By 1989, Thatcher’s political projects were realised, and her grip on power weakening. It is only now that she has seen off the reds that she turns green. This, I would argue, is the dynamic: blue and red both fade to green. Thatcher first, then a more comprehensive, deeper and broader greening of the nominal left as they lose their purchase and seek moral authority from above (ie the skies) rather than from the hoi polloi, and to establish political power on seemingly scientific, rather than political, premises.